Mordialloc College has a highly regarded and respected performing arts program. Students have the opportunity to explore aspects of the performing arts through a number of exciting and innovative subjects and inclusive extra-curricular activities. Each year music study and performance includes major musical productions, a variety of instrumental music and music bands, ensembles and choirs, an annual music study camp and live performances outside the school. Mordialloc College has an annual production involving students from all year levels. Our musicals involve students from all year levels and provide students with a range of experiences including stage management, and learning about lighting and sound operation. At Mordialloc College, Performing Arts is a core subject in Years 7 and 8. In Years 9 and 10 students are able to choose from a variety of performing arts subjects. Students can participate in the Instrumental Music Program. They are withdrawn from their normal program and given instruction by qualified teachers in small groups. Students also become members of the various ensembles formed within the College. These ensembles regularly perform for visitors as part of the Performing Arts program and at other after hours functions. Involvement in this program is determined in Year 7 where students hire instruments. 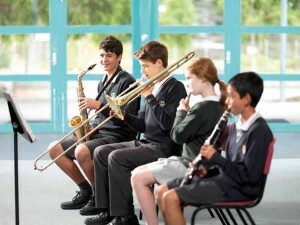 From Year 8 onwards it is expected that students provide their own instrument. VCE Music, Drama and Dance are Year 11 and Year 12 VCE subjects and involve both performance practice and theory. Students undertake a variety of written and practical examinations. Annual art exhibitions and displays provide an opportunity for students to present their works to the wider community. Each year, the visual arts showcase brings together artists from Mordialloc College, the wider community and local primary schools. Sculpture, pottery and design programs draw many students and the community to our school and Photography and Media Studies curricula add depth to the range of skills students develop.